Oba Ghat inscription-I, is a Sanskrit rendering of Dhammapada, verse 183 (Bühler 1979: 135). It carved on the upper portion of the rock immediately above the cave is engraved in bold and deeply incised characters. 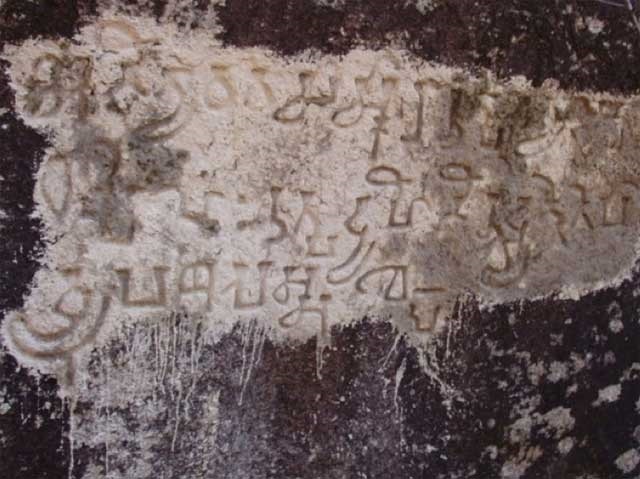 The inscription contains three lines in north south direction, carved high up in the center of the rock face; no one can reach or teach it from the ground surface. This inscription is in a bad condition due to weathering. Oba Ghat inscription-II is a rather free Sanskrit rendering of Dhammapada, verse 281 (Bühler 1979: 135). Engraved in bold and deeply incised characters, having four lines, extends over a surface of about four metres in length in north south direction. 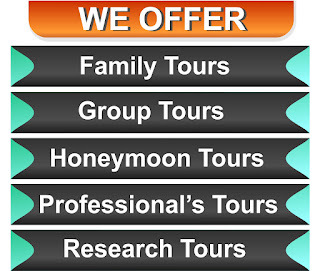 The lower inscription is carved in the right lower corner of the rock and easily accessible to human activities. It is exposed to both natural and human vandalism. 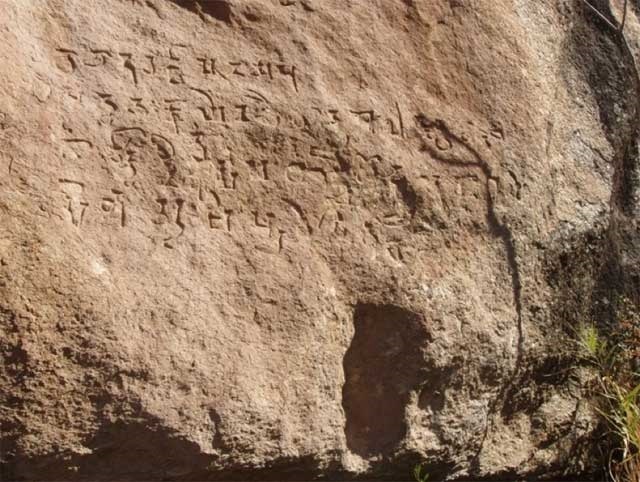 Both inscriptions engraved on the western face of the rock; contain Sanskrit verses from the Dhammapada. The palaeographic character of their letters, according to Buhler’s analysis, seems to date the inscriptions as from the early Kushan period (Stein 1930: 50). This is the famous verse spoken according the Maha-Parinibbana-Sutta, vi. 16, by Indra at the time of Sakyanuni’s death, or proclaimed by Buddha himself according to theMaha-Sudassana-Jataka (Bühler 1979: 134). The stone, on which the inscription-III exists, is known as “Khazana Ghat”, as some treasure was at one time found near it. The extensive ruins still exist near the inscription. According to P. O. V. Hinüber, the inscription is well written in spite of two very obvious mistakes as indicated. 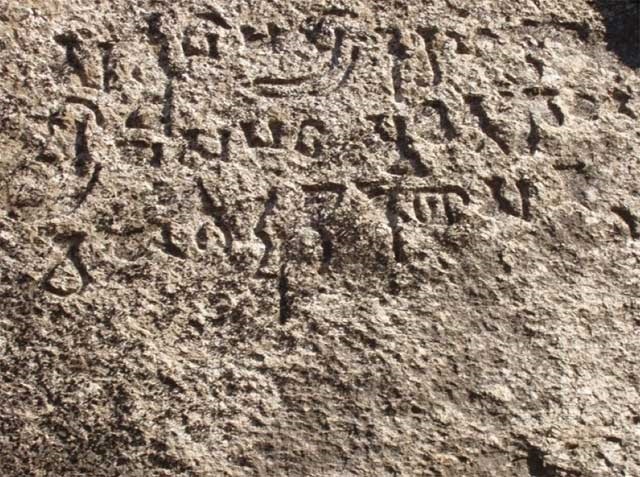 Paleographicaly the inscription can be dated roughly to the 6th century CE (personal communication).